The JAH700 Alto Horn is a great choice for the player looking for an affordable Eb alto horn. The JAH700 features a .433" bore with a 7.2" upright bell for excellent response and nickel silver valves for quick action. 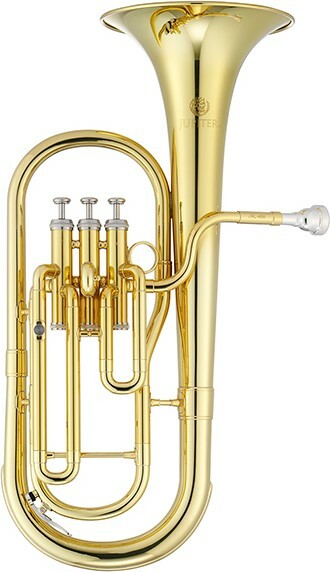 The JAH700N Alto Horn is a great choice for the player looking for an affordable Eb alto horn. The JAH700N features a .433" bore with a 7.2" upright bell for excellent response and nickel silver valves for quick action. Nickel-Plated Brass Body is made from the highest quality brass and finished with a bright nickel-plate ensuring fine playability and tonal brilliance. The JAH700S silver-plated Alto Horn is a great choice for the player looking for an affordable Eb alto horn. The 456S features a .433" bore with a 7.2" upright bell for excellent response and nickel silver valves for quick action.